The celebration for Valentine's Day is the perfect opportunity to show how much we love a person, if you are a romantic one, and you have decided to organize an unforgettable dinner or lunch, pay attention about the importance to choose the correct centerpiece. 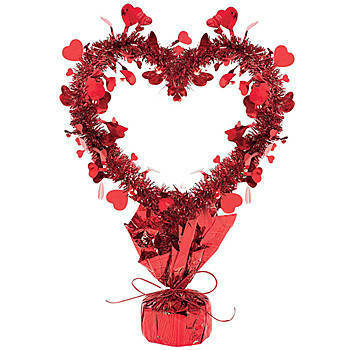 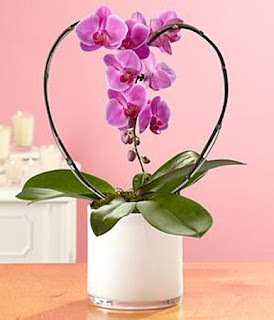 Here we present a selection of centerpieces for Valentine's Day and there is no doubt that you will fall in love with more than one. Chose the best one and enjoy the best dinner or lunch ever. 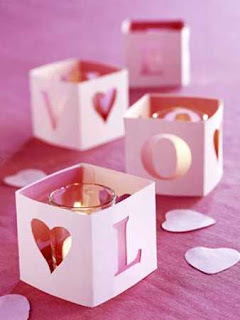 Particular way to present the word LOVE with four candle holders containing each one of the letters. 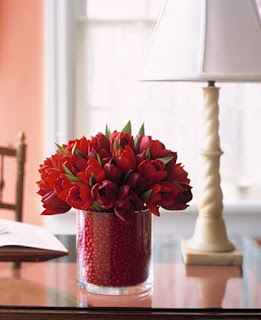 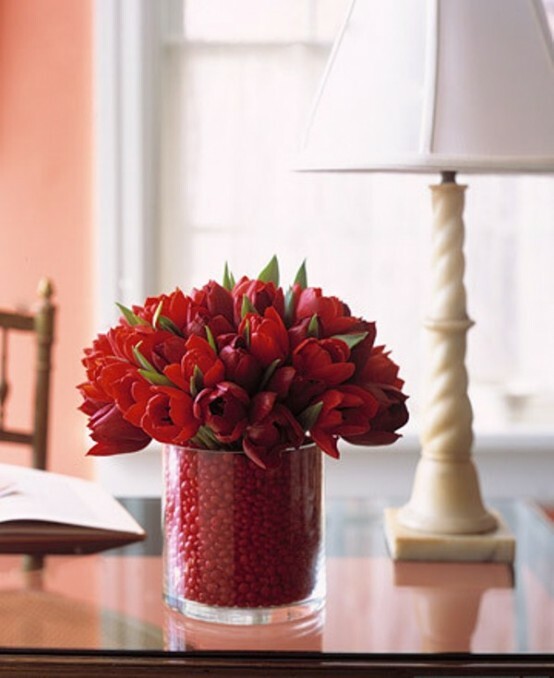 For those who like tulips, here there is a centerpiece with these red flowers, inside a vase with fruits of the same color. Original centerpiece in the shape of a heart made with metallic red papers. 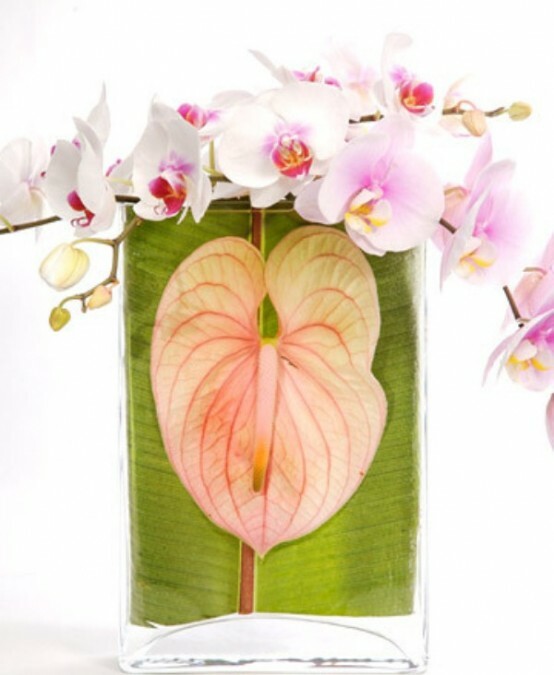 A beautiful centerpiece with a vase of crystal, some branches form a heart on the vase and on the top, fuchsia flowers. 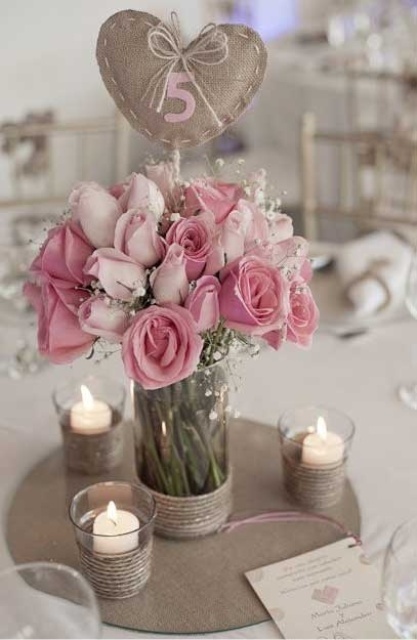 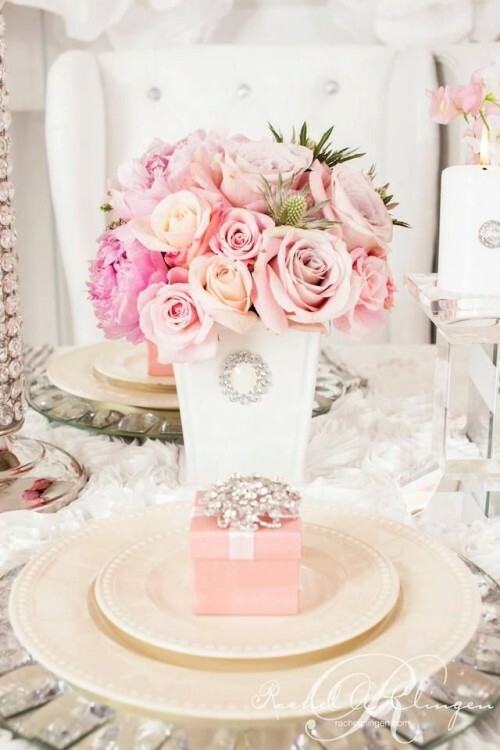 A beautiful and delicate centerpiece with a submerged flower inside and other pink ones above the vase. 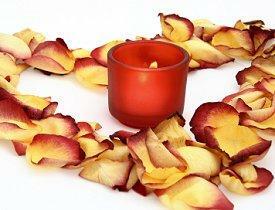 Centerpiece with a heart formed by rose petals and a red candle holder in the central part. 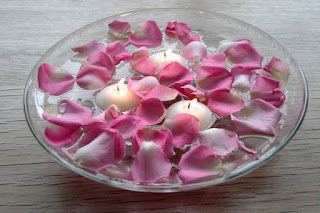 Centerpiece with pink petals and floating candles inside a particular vase of crystal full of water, is you prefer, you also can add some aromatic liquid. 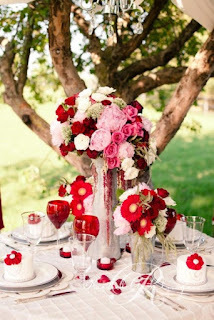 Centerpiece for Valentine's Day with roses of different colors and green branches. 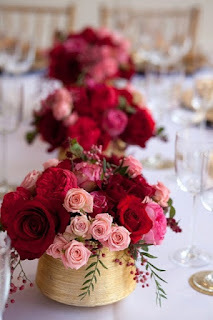 For those who prefer rustic details, here we have a centerpiece with these characteristics, the vase has jute, material also used to make a heart that was put in the middle of the roses. Centerpiece for Valentine's Day with a vase decorated with silver sconces and with roses inside. A romantic centerpiece for Valentine's Day with red, pink and white flowers.